Hi [INSERT YOUR FRIEND'S NAME HERE], Please check this out https://www.proactivehealthcare.co.uk/lipolife-liposomal-curcumin?referrer=0 and get £4 off your first order (minimum order £30 excl. shipping). Thanks! Curcumin has been used as an herbal remedy in China and India for centuries. Curcumin is now receiving increased attention for its nutritional value. This product has been developed and manufactured in a HACCP registered European laboratory using only European sourced components. Special techniques have been used to ensure the stability and efficacy of the product. Modern research has shown that curcumin can help reduce inflammation caused by many chronic degenerative diseases. 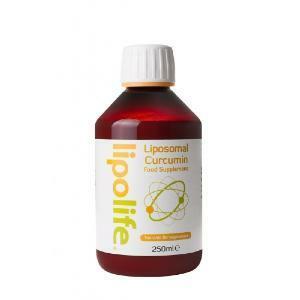 As curcumin does not dissolve well in water, this liposomal formula provides a more efficient and effective way to benefit from the qualities of curcumin. Liposomal Curcumin is recommended for anyone from a healthy adult to one who is nutritionally deficient or who might have difficulty consuming a larger dosage of conventional supplements.